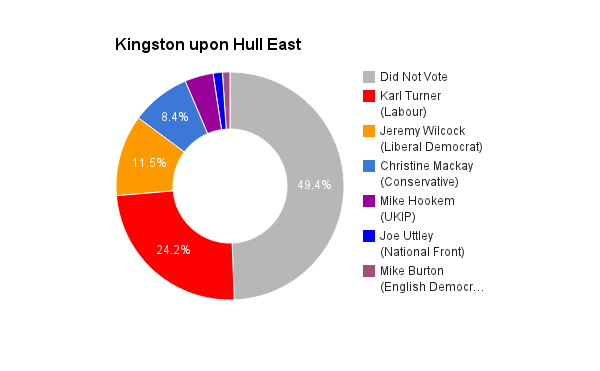 Sometimes referred to as just ‘Hull East’, Kingston upon Hull East is considered a Labour safe seat and covers most of the city east of the River Hull and varies from areas of social housing to the now re-developed docklands. Famously, from 1945 to 2010 the area was only represented by two different MPs. Firstly Harry Pursey followed by former Deputy Prime Minister John Prescott after 1970. As of 2010 the representing member is now Karl Turner of the Labour Party.